At high energy the motion starts to becomes regular again, as explained previously. The animation and section below show the case E = 150. Regular motion (a set of curves) has reappeared in the Poincare section. At very high energies the motion is completely regular, as gravity becomes unimportant. The animation and section below show the case E = 20000. The Poincare section consists entirely of regular motion. Note that the section has approximate reflection symmetry about a vertical line at 45 degrees: the line joining the two axes is pulled out into a radial orientation. 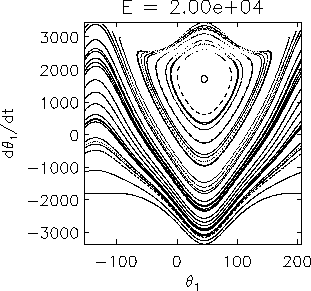 The dynamics of the pendulum at low energy is described here. 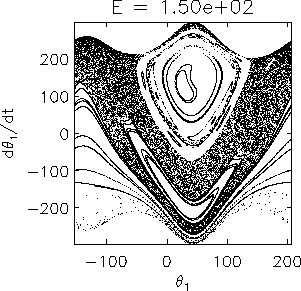 The dynamics of the pendulum at intermediate energy is described here. 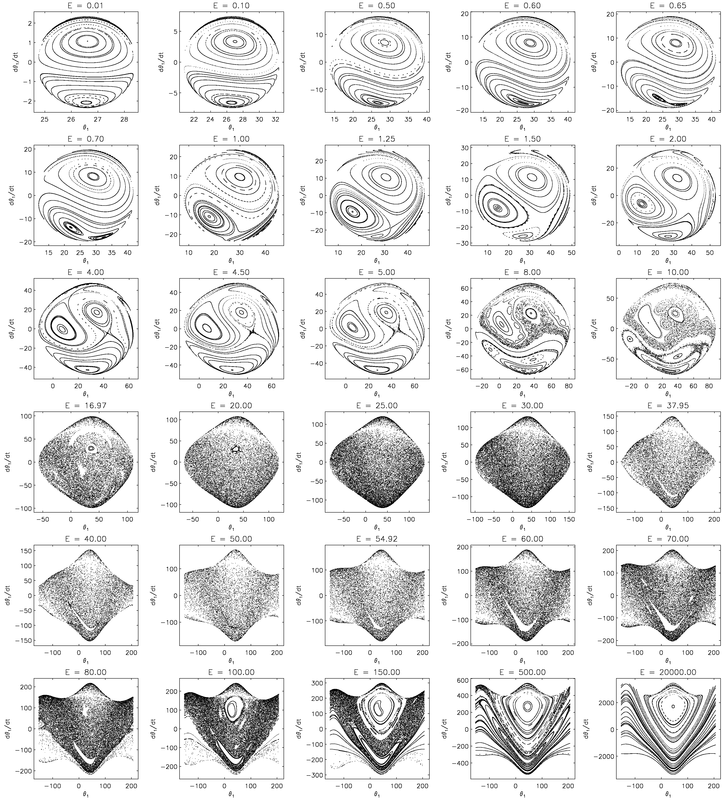 A large gallery of Poincare sections is provided here.